Exfoliation is key to maintaining smooth skin. It removes oil and dead skin, which allows moisturizer to absorb more easily. 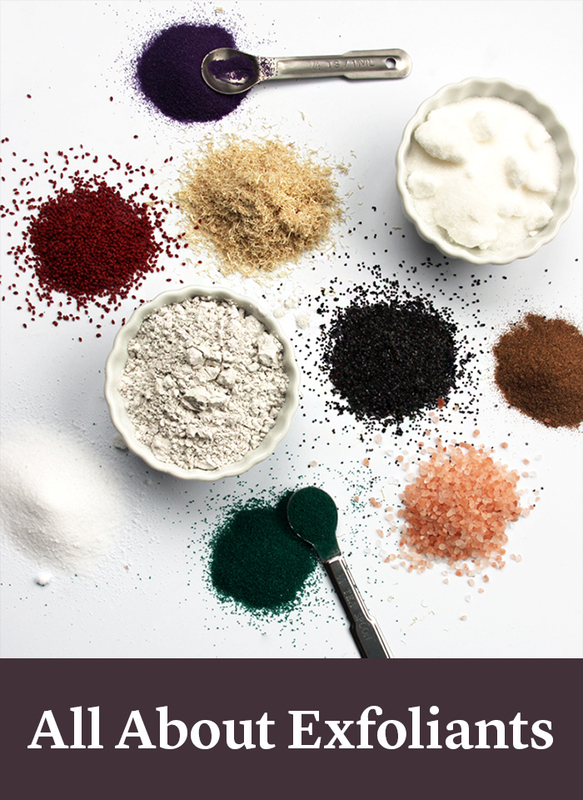 The exfoliant you choose depends on your recipe. Fine exfoliants work well for the face and large exfoliants work well for the body, especially dry areas like elbows and feet. 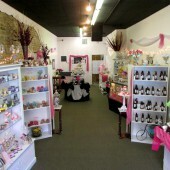 It’s also based on personal preference – the best way to find out what you like is to experiment. 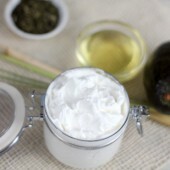 Start with 1 teaspoon of exfoliant per pound of product. 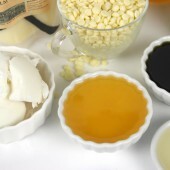 For cold process soap, add medium and large exfoliants at thin trace and whisk to incorporate. Mix 1 teaspoon of fine exfoliants with 1 tablespoon of a lightweight oil or distilled water first to prevent clumps. 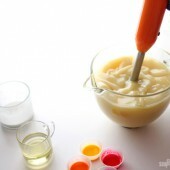 For melt and pour, add medium and large exfoliants and stir until the soap is around 125-135F. It needs to be thick enough to suspend the particles. For fine exfoliants, mix 1 teaspoon with 1 tablespoon of 99% isopropyl alcohol. 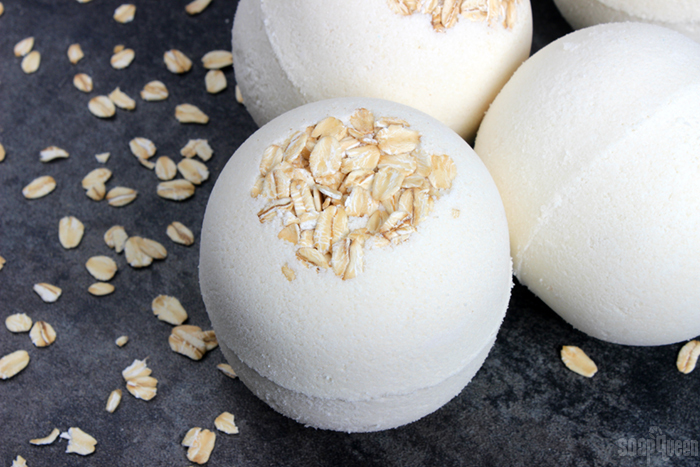 Colloidal oatmeal is one of the most gentle exfoliants. 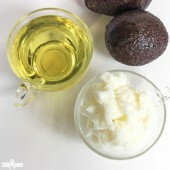 It can be used in face masks, soap, and more. 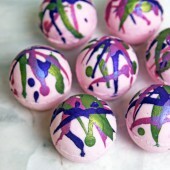 We added it to the Oatmeal Bath Bombs and Gentle Oatmeal Baby Soap because of its silky texture and soothing properties. 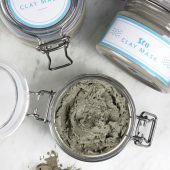 This natural powder comes from bamboo stems. It starts as a thick liquid, then crystallizes at room temperature. 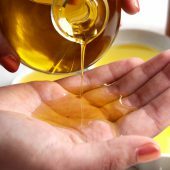 Add it to handmade soap and cosmetics for gentle exfoliation. 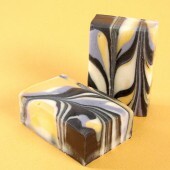 You’ll love the way it feels in the Black, White, and Gold All Over Soap. 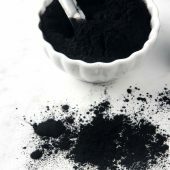 Pumice powder is a fantastic gentle exfoliant created from milled volcanic glass. Its fine texture works well in the Pumice and Poppy Seed Melt and Pour Bars. 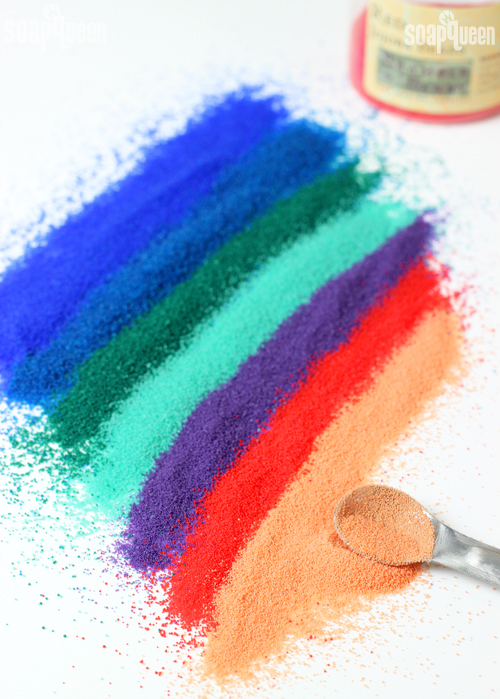 Baking soda is an amazing multi-purpose product. 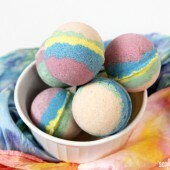 It’s used in bath bombs, bath salts, and natural cleaning products. 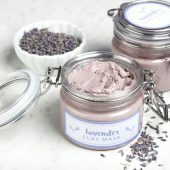 It’s great for scrubs as well – try it in the Sea Clay Dry Salt Scrub, Walnut Facial Scrub, or Cranberry Seed Foot Scrub. 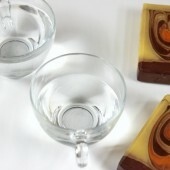 Along with exfoliation, walnut shells add a natural brown color to handmade soap and cosmetics. 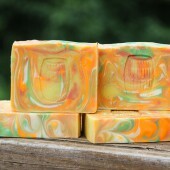 We used them for the crust in the Pumpkin Pie Cold Process Soap and the dirt in the Carrot Cold Process Soap. 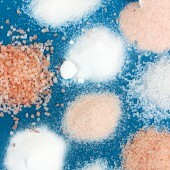 There are a variety of salts and sugars that can be used for scrubs, bath bombs, and more. Depending on the size, they can offer gentle or more powerful exfoliation. 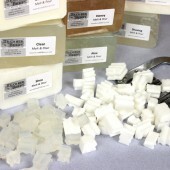 Salt can also be used in cold process soap – it creates really creamy lather. 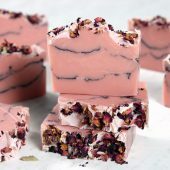 Learn how to use it in the Lavender and Rose Pink Salt Bars tutorial. This biodegradable exfoliant is made from jojoba oil. 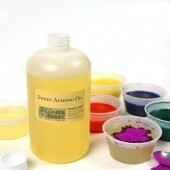 The beads come in various sizes and colors, so there’s an option for every recipe. 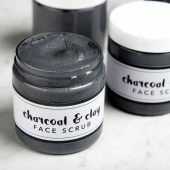 Try them in the Rainbow Jojoba Bead Sugar Scrub or the Cleansing Charcoal Facial Scrub. 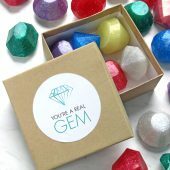 Learn more about jojoba beads in this blog post. This exfoliant comes from whole loofah sponges. 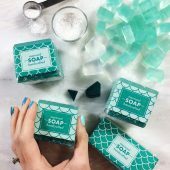 They’re ground to a fine texture, making it easy to disperse throughout soap or scrubs. 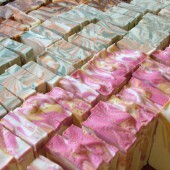 Try it in the Lard and Loofah Cold Process Soap or the Gardener Melt and Pour Soap. This product comes from a volcanic beach on the South Coast of Iceland. 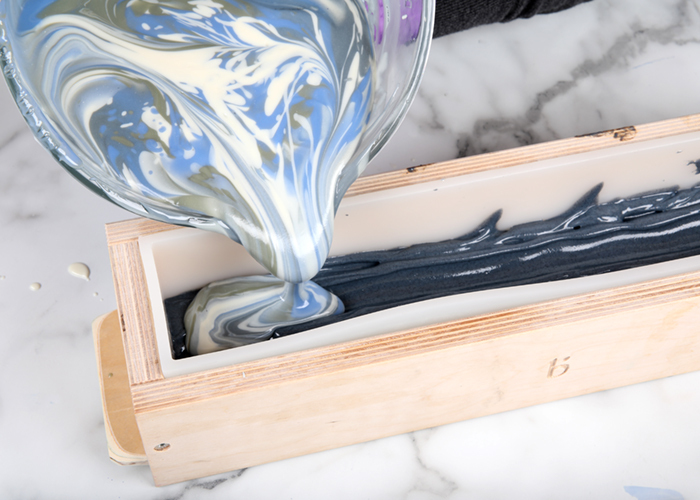 It has mild exfoliation and a beautiful natural color, as seen in the Coastal Rain Cold Process Soap. Don’t throw used coffee grounds away – they’re perfect for recipes like the Simple Coffee Soap. Used grounds are best for cold process to prevent bleeding, but we recommend dry grounds for scrubs. 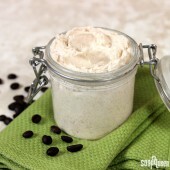 The DIY Coffee Body Scrub leaves your skin feeling fresh and clean. 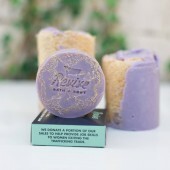 Loofah sponge is a unique natural exfoliant. 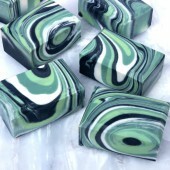 They come in long tubes that can be cut down and added to soap like the Garden Melt and Pour Bars. 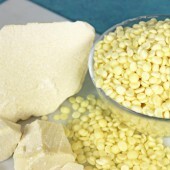 Their texture is great for rough areas like the feet or elbows. This powerful exfoliant will leave your skin feeling clean. 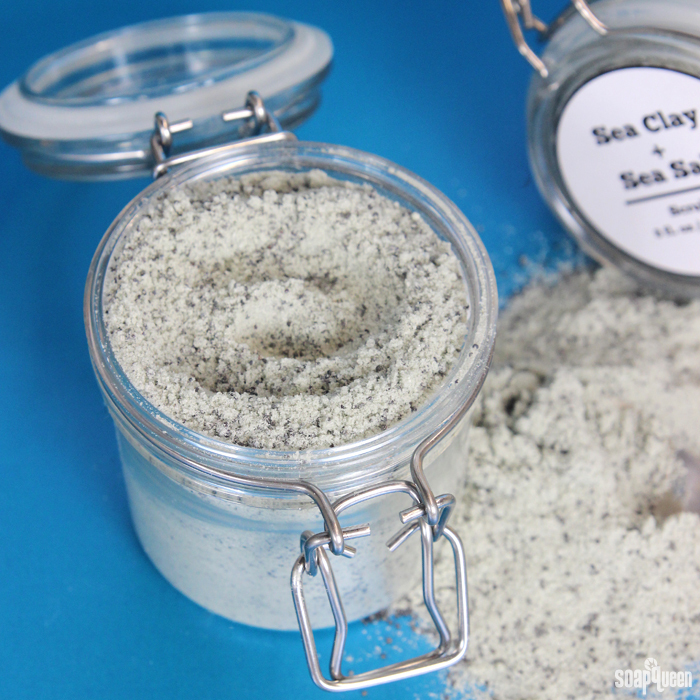 It has larger grains and a more intense exfoliation than pumice powder. Try it in the Pumice Body Scrub. 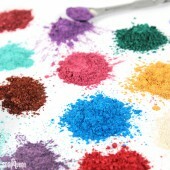 These are great for adding intense exfoliation and a pop of color. 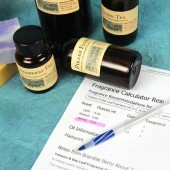 See how to use them in the Cranberry Sugar Scrub, Wildflower Honey Sugar Scrub, and Blueberry Thyme Soap. 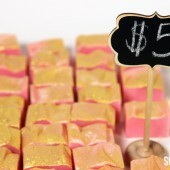 This product adds such a pretty pop of color to DIY bath and beauty products. We love it as a design element as much as we love the powerful exfoliation. 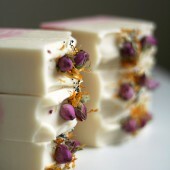 Try it in the Raspberry Jam Scrub, Mini Lemon Poppy Seed Melt and Pour Soap, or Lemon Poppy Seed Cold Process Soap. This post was updated in July 2018. 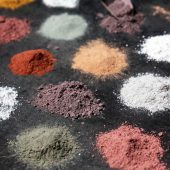 I’m not familiar with some of the products you mentioned, but the manufacturer or vendor should be able to give you a recommendation on what products you can use it in, and usage rates as well. We do not offer shipping services to Nigeria at this time. 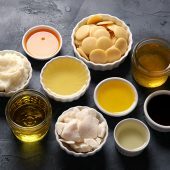 Here’s a great blog post we did that goes over the hows and whys of preservatives: https://www.soapqueen.com/bath-and-body-tutorials/lotion/talk-it-out-tuesday-preservatives/ Optiphen is meant to be used at 1.5% of your scrub’s weight. I love using exfoliants in soap. Now that I have begun making my own soap, it almost seems bland without them. 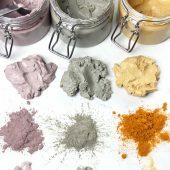 It is so much fun seeing the different effects various kinds of exfoliants give. I was planning on trying Epsom salt as an exfoliant but read elsewhere that that is not advisable in CP soap because of the high magnesium content. 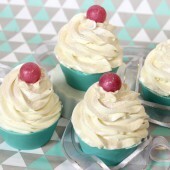 They indicated that it would basically make a wet, gooey mess. Is this accurate? We don’t recommend using Epsom salts in CP. 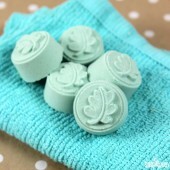 Because they are magnesium based instead of sodium based, they do some odd things in soap. They can make it gloppy, greasy, or weepy. 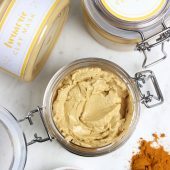 You can find a few alternative exfoliants to try in the post above. 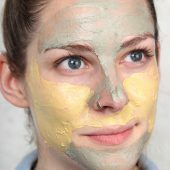 I was wondering about using chia seeds as exfoliants. I’d assume they’d be considered along the same lines as poppy seeds, strawberry seeds, cranberry seeds? 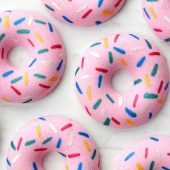 Could they be used in place of some of the scrub recipes you have? More specifically: using chia seeds instead in the cranberry seed foot scrub recipe. 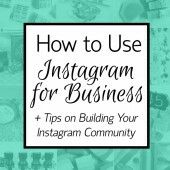 I would have asked there, but I’ve found quite a few of your tips and tricks don’t have the “leave a comment” at the bottom for me. That’s one of them. I’m not entirely sure. When chia seeds absorb water they do soften, so I’m not sure if they would work well on wet skin. 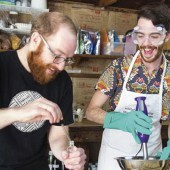 You may make a small test batch to see how they do. Heather, I’ve used chia seeds multiple times and they work well and can usually be purchased locally. HOWEVER, they are larger and therefore, rougher than poppy seeds so I recommend poppy over chia seeds. Any try using pistachio shells ground up in place of walnut? I shelled two bags of pistachios and would like to reuse versus yard waste. I have some ground powder cedar. Left over from a project . I would like to use as an exfoliant in my soap. Your thoughts? 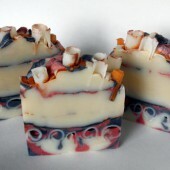 I would like to add jojoba beads to the top of melt and pour soap, but I cant keep them on. 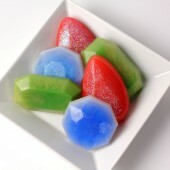 Do you put them on top of the soap right after you pour? 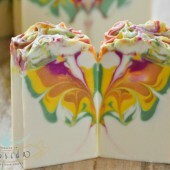 Do you spray the top of the soap with something to help them stay on? I wanted to ask if anyone had tried using rice flour as an exfoliant. 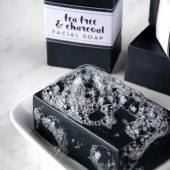 One of my favorite commercial soaps contains ground rice, rice extract and charcoal. Any thoughts will be much appreciated. Thank you Kelsey. I will make a small batch to see how it feels. 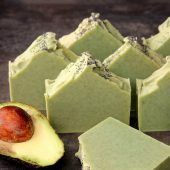 We have some awesome gardener soap recipes you may like! They’re designed to clean off dirt from gardening, and work well for grease too. 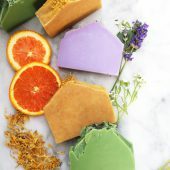 This is the first time I’ve posted a comment on anything and let me just say, it’s wonderful to know there are so many people out there who enjoy making soap as much as I do! I have to say. I’m loving the poppy seeds. 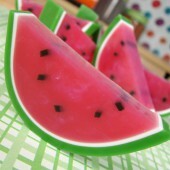 I used them in a watermelon soap I made. And wow! Looks awesome! 🙂 you ladies keep up the good work! well I successfully added cornmeal and ground oatmeal together to my melt and pour soap recipe! next time I’ll use white sugar instead of the cornmeal. 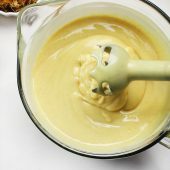 The cornmeal gets soft just like the oatmeal to give gentle exfoliation. I want it to have more kick though, so next time I’ll add white sugar to the oatmeal and let you know. 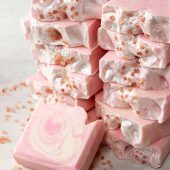 wanting to make a scrubby soap bar. 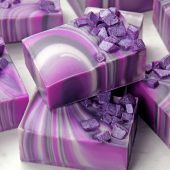 I use melt and pour soap base. 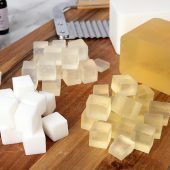 I would like to add 1/2 teaspoon OR one teaspoon of baking soda to my 1 pound of melt and pour along with the 1/2 cup of ground oats that I normally add to the melt and pour soap. I have a concern that the baking soda might retard the lathering? so far the addition of oats does not retard the lathering. please someone advise. thanks! Just to clarify, do you mean rebatch soap? I know you had a similar question on another post so I just want to be sure! 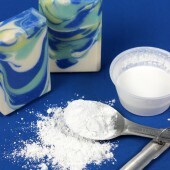 Baking soda can inhibit the lather in the recipe. The great news is it feels great, and helps exfoliate so your skin feels fresh and clean. 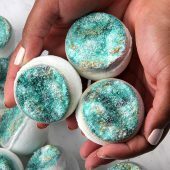 Also, many of the exfoliants in this post make a scrubby bar while not affecting the bubbles! Shredded loofah or ground walnut shells would feel great. We use shredded loofah and ground walnut shells all the time and haven’t noticed any clogging problems! You may want to check with your plumber just to be sure. 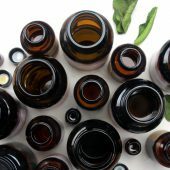 As a general rule, the more stuff you add to soap – oil, exfoliants, etc – the greater chance that lather may be inhibited. I would recommend starting out with 1 tsp. 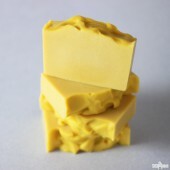 of exfoliants per pound of soap, then adding more if you want it more scrubby. I use a wide range of exfoliants in my soap. I love the look of ground & whole oatmeal. Poppy seeds are another favorite. 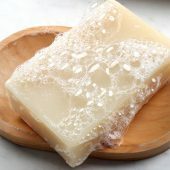 Cut slices of loofah are nice for soap foot products.